Get active in the national campaign to protect our native forests! Tell Nippon and Australian Paper that our forests are too precious to log for paper, and we won't stand for it anymore. The leadbeater's possum is Victoria's wildlife emblem. Almost half of the habitat of this endangered species was lost in the Black Saturday bush fires. Now the possum is further at risk from ongoing logging which fragments and destroys habitat and is taking place against the recommendation of leading scientists. 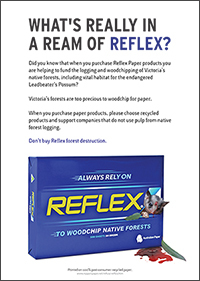 Want to tell retailers and Reflex Paper directly that logging native forests for paper is not on? Contact us at refuse_reflex@nippon.net for an Action Kit and act locally. The kits contain small stickers (like the one in the top right corner), fliers, posters and a letter to retailers - everything you need to tell your retailer, community and the Nippon Reflex brand that the time for pulping forests for paper is over. 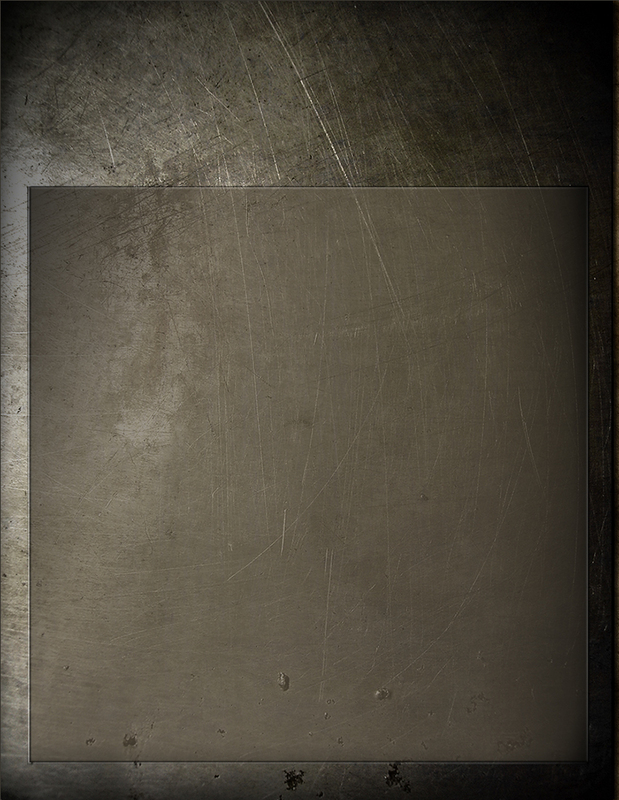 Get your work place to sign the Ethical Paper Pledge.